Home Girl: Check Out Our Video! Hey Homies! Please check out our new video above! We created this to show a little more about what we do and what we love - cool, funky, fun, hard to find, one of a kind home decor items. From time to time we will post new videos showcasing some of our great new stuff. So check back often! 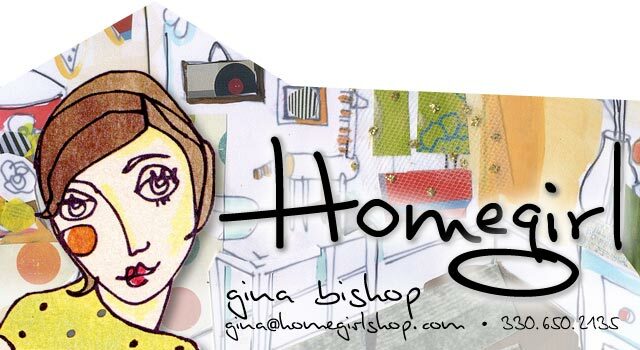 Love your blog Gina! Can't wait for the October sale!!!! My mom and I were at the Country living Fair today, and I loved everything you had! You had one of THE BEST booths at the Country Living Fair! So fun! Really enjoyed finding you & your blog...happy Autumn! You definitely had one of THE BEST booths at the fair. You & your husband were cracking us Pittsburgh girls up today! Can't wait to see you next year! Loved your booth at the Country Living Fair!! Hope to see you at your next barn sale. Can't wait to see your online marketplace!! !